I detest almost all of the pundits that fill the airwaves with what passes for discourse in this country and perhaps none is as loathsome and disgusting to me as Nancy Grace, the former prosecutor who offers legal affairs commentary as a star of the Headline News network. If the law is somehow supposed to be about justice, Grace apparently never got the memo: she convicts the subjects of her reports before the first witness has given testimony and works her viewers into an electronic mob more interested in vengeance than due process of law. All in the name of television ratings -- eyeballs on the screen. There can't be any other reason: if she sincerely cared about crime and punishing those responsible for it, she would spend her hours in front of TV cameras trying to put bankers, defense contractors, crooked politicians and corrupt business oligarchs behind bars. As you can see, I am not a Grace fan. That's why it gave me such pleasure to see her ridiculed and outmaneuvered by Jack Swyteck, the fictional Miami defense attorney who has been the protagonist of half of James Grippando's thrillers since the publication of his first novel, The Pardon. 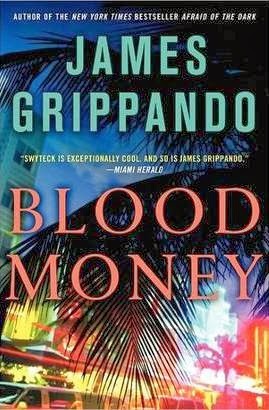 In Blood Money, Grippando's latest, she is thinly disguised as Faith Corso, "a tough former prosecutor turned TV personality" who is the top draw for the BNN (Breaking News Network), an equally thinly disguised HLN TV look-alike. As the story begins, Corso has whipped the public into a frenzy over Sydney Bennett, a party girl whose daughter died under mysterious circumstances. Bennett herself is a look-alike, closely patterned after Casey Anthony, who gained notoriety when she reported her daughter missing -- 31 days after she disappeared. The Bennett and Anthony case correspond closely: Grace dubbed Anthony "Tot Mom" during her saturation coverage of the case; Grippando has Corso coin the nickname "Shot Mom," and obsessively follow the case with the same sort of cynical calculation earlier shown by Grace, whose TV ratings soared 150 percent during the course of the trial. When the jury returns a verdict of not guilty (the forensic evidence does not clearly establish that the child was murdered), Corso turns her vituperative acid on Bennett's lawyer, Jack Swyteck. She suggests Swyteck hired a double to lure away the unruly crowd outside the jail where Bennett has been held during the trial and is responsible for the double's injuries when a member of the mob puts the girl in a coma. Later Corso implies that Swyteck bribed a member of the jury to obtain a not guilty verdict for his client. Neither allegation is true, but the damage is done, anyway. Swyteck ends up in legal trouble with two judges; Thousands of the mouth-breathing morons who watch Corso's television program end up harrassing him, choking his office telephone lines with crank calls; even the court clerks he must deal with end up despising him. Meanwhile, the man who choked out Bennett's double and put her in the hospital spirits Bennett away after her release, kills a doctor who is providing Swyteck with information for a lawsuit against Corso's network and physically attacks the lawyer and threatens to harm his loved ones. The mysteries pile up in an untidy mess as Swyteck approaches a court appearance in which the acquittal he worked so hard to obtain is threatened by the bribery allegation. In order to save his client, Swyteck must find the mysterious interloper, learn who was behind the bribe and solve the death of Bennett's child. All of this is made more difficult by the fact that Bennett, fearing for her life, has gone into hiding. By the end of the novel, Grippando manages to pull all the loose threads of the case into a satisfying conclusion, but only after Swyteck's aged grandmother is threatened, Bennett falls into the hands of the sociopath and Swyteck's FBI agent fiancé trades shots with an armed assailant who has already killed twice. Blood Money is the kind of book that rivets a reader from beginning to end: a single evening's read that is part courtroom drama and part whodunit. 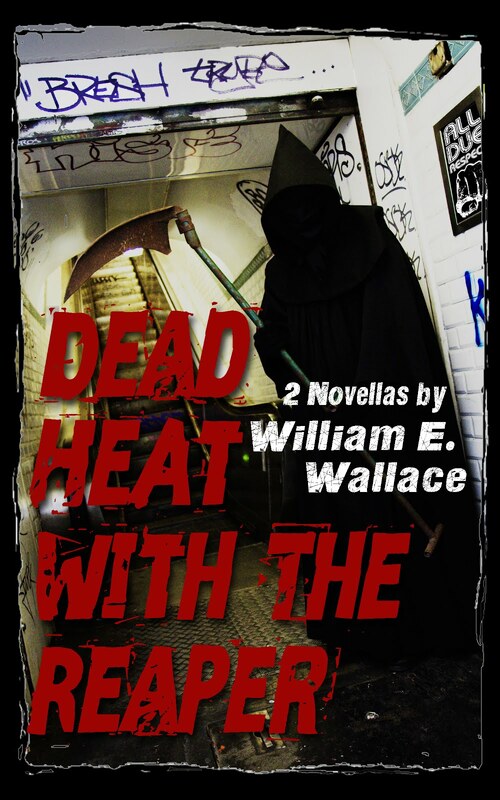 The characters are lively and entertaining, the plot is plausible and well realized and the pace is suspenseful. It is definitely worth a look.